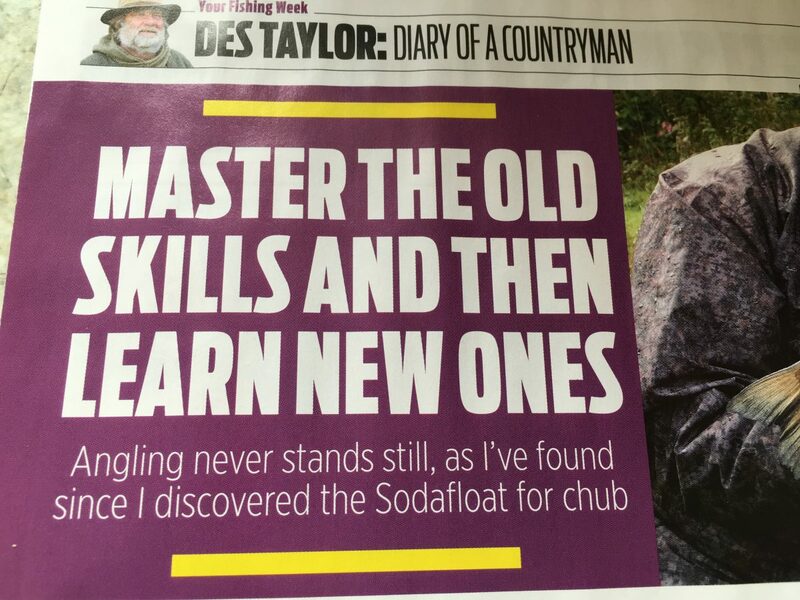 Des Taylor has been using a Sodafloat to bag up on Chub. Des noticed one day that when he was baiting up his swims on the River Severn with balls of soaked pellets the chub were attacking the balls of feed as he threw them in. The next day he went back with a Sodafloat loaded it with pellet and banded a 6mm pellet on the hook and when the chub came up, he cast the float in. He has been taking some great bags of chub and barbel on the method since trying it. He wrote about it in the Angling Times in this article.